The effects of drunk driving extend beyond the arrest or - worse - the crash that results in injury or death. In The Ripple Effect: A Community Conversation, three different panels - from families and friends, to public officials, law enforcement and public safety, emergency responders and medical staff - share their perspectives on the far-reaching impact. Hosted by Gene Valicenti, the program is based on the RI Department of Transportation's public information campaign. 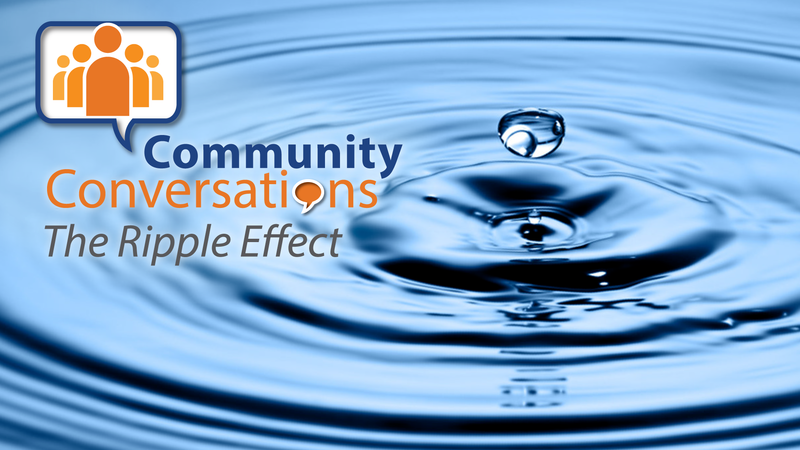 The Ripple Effect: A Community Conversation will air Thursday, May 17 at 8 p.m. on Rhode Island PBS (digital 36.1, Cox 08/1008HD, Verizon FiOS 08/508HD, Comcast 819HD, MA Verizon FiOS 18/518HD, DirecTV 36 and Dish Network 36). The special re-airs on Saturday, May 19 at noon and 11 p.m., and Sunday at 7 p.m.
Peter Alviti, the Director of the Rhode Island Department of Transportation. As part of the Toward Zero Deaths campaign, a national effort to cut traffic fatalities and serious injuries in half by 2030, the Rhode Island Department of Transportation launched an impaired driving campaign called, The Ripple Effect in February of 2018. As an extension of the #BeyondTheCrash campaign, the Ripple Effect takes an intimate look at the overlooked enormity of drunk driving crashes and the number of lives touched by one incident. Lee Bourque and Gary Bourque lost their son Ryan in May 2016, because of a wrong way drunk driver. Ryan was a Jamestown police officer, traveling home from work after his first official day on the job. Ryan was 24 years old. Chief Ed Mello is the chief of the Jamestown Police Department, the department in which Ryan Bourque served as an officer. Chief Mello began his career with the Jamestown police in September 2011, serving as the department’s fourth police chief. Beginning his law enforcement career in 1988 after graduating the RI Municipal Police Academy, Mello was also the police chief of the Westerly Police Department for seven years. Meg DeCubellis & John DeCubellis lost their 13-year-old daughter Katie in October 1999, when a drunk driver struck the car in which she was a passenger. After Katie’s death, her parents started The Katie DeCubellis Memorial Foundation, a local non-profit organization established in her memory. The KDMF annually provides scholarships to qualifying high school seniors about to enter a technical program or a two- or four-year college program. Rebecca "Becky" Bowman-White was a victim of a crash with a drunk driver that injured her, and killed her mother, Marsha Bowman, and her best friend, Katie DeCubellis, in October 1999. Becky now serves the community as a passionate motivational speaker, sharing her story and the five guidelines that help her live a healthier and happier life. Cathy Andreozzi is the mother of drunk driving accident victim. On March 26, 2003, as 12-year-old Tori Andreozzi walked home from the bus stop, a drunk driver struck her and left the scene. Tori sustained a traumatic brain injury that has left her in a minimally conscious state, unable to walk, speak, or eat. Cathy started the Tori Lynn Andreozzi Foundation to empower people to make good choices and protect other families from the devastating consequences of poor decision-making. Reverend Joseph A. Escobar serves at Our Lady of the Rosary Church in Providence, RI. On Thanksgiving Eve in 1994, his brother, at the age of 31, died as a result of drunk driving after a night out with friends. On his way home he lost control of the truck he was driving, skidded across the road and hit four trees; he was killed instantly. Father Escobar’s brother left behind a wife and three children. And Father Joe lost his only brother. Dr. Charles Adams is Rhode Island Hospital’s chief of Trauma and Surgical Critical Care. Dr. Adams shares his perspective as a trauma surgeon, and how one impaired driving incident touches many people. Dr. Jason Hack is the director of the division of medical toxicology at Brown University, a professor in the department of emergency medicine at the Warren Alpert Medical School and a physician in the department of emergency medicine at Rhode Island Hospital and Miriam Hospital. Dr. Hack is also a photographer, motivated to raise awareness of the impaired driving issue. His exhibit of photographs from his “Impact” series, shot in the style of 1940s crime scene photos, illustrate his message about impaired driving in an impactful, lasting way. Captain David Palumbo of the Providence Fire Department Rescue 5 presents the perspective of the first responder, shedding light on the effects of drunk driving, and the difficulty of putting aside some of the experiences and memories. Dr. Nicole Alexander-Scott, director of the Rhode Island Department of Health, shares how impaired driving has risen to a level of public health crisis, and how substances such as opioids, marijuana, and even over-the-counter medication contribute to impaired driving.